Last week we invited couples to join us at Disneyland and Walt Disney World for Disney's Fairy Tale Weddings Showcase. Couples gathered inspiration for their Disney Wedding by experiencing all that we have to offer! 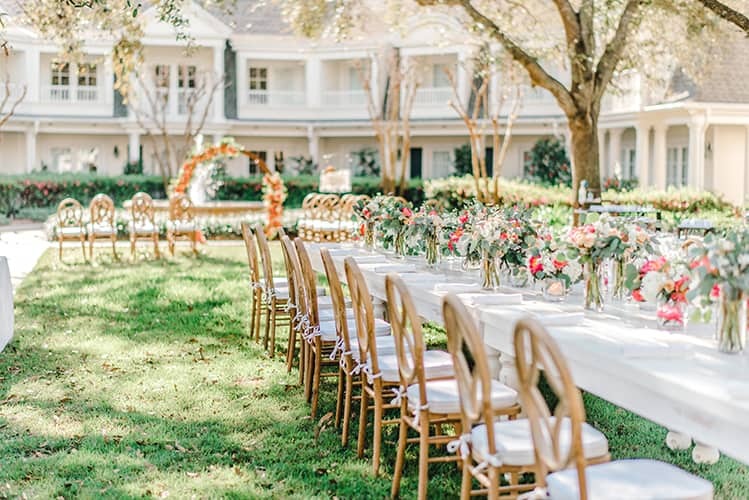 They were able to see floral and decor, sample food and beverage, talk with a Disney Wedding Planners and even tour a variety of wedding venues. Today, we're sharing all the locations that showcase attendees were able to see as part of the venue tour. 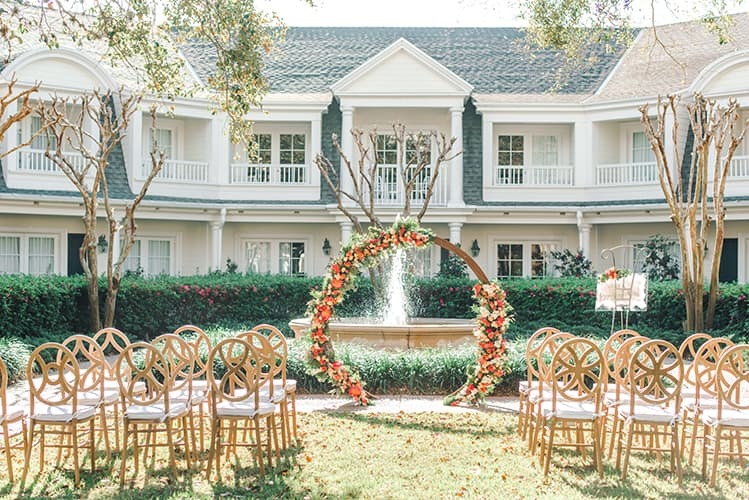 From sprawling lawns, to intimate water-front settings, romantic gazebos, and stunning ballrooms, there were a variety of settings for couples to experience. Take a look! Nestled within the BoardWalk Resort, this quiet lawn is perfect for garden ceremonies and receptions. A historic location awash in fun Disney touches like Hidden Mickeys, the Disneyland Hotel offers a unique location for your reception while providing the unparalleled service and amenities you've come to expect from Disney. On the shores of sparkling Crescent Lake, you'll find this grand, airy gazebo that's the very picture of romance. Tie the knot right by the water framed by sweeping arches then celebrate your special day at Disney's BoardWalk. 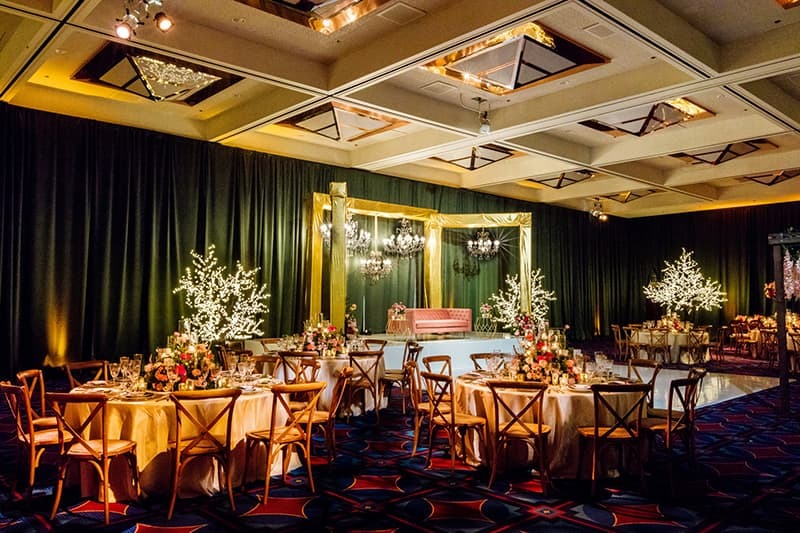 Celebrate your dream day in the golden California sunshine on a sprawling but well-manicured lawn surrounded by native trees and shrubbery, winding walkways and, of course, all of your loved ones.